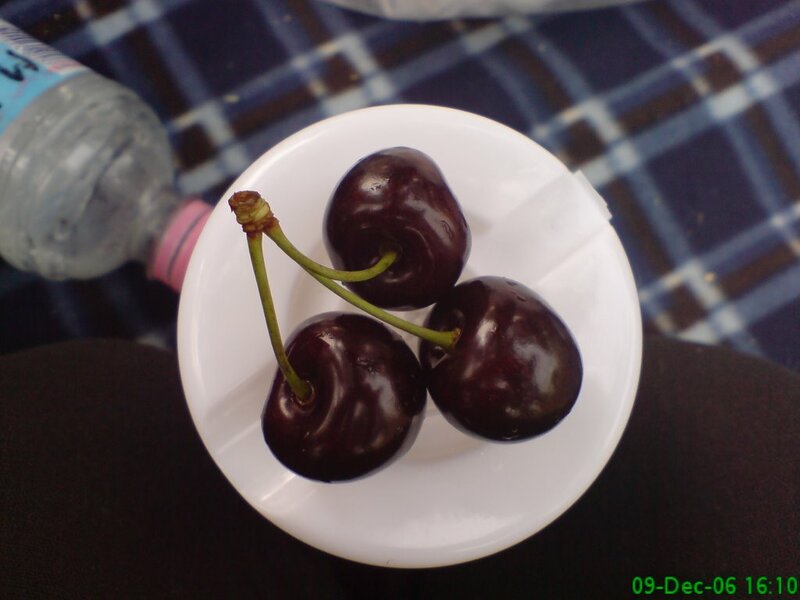 Flagrant food fawning: Mon Cherries - tres bien! Mon Cherries - tres bien! I heard somewhere that double and triple cherries bring good luck. I was very lucky to have that quadruple set of cherries then!